A boulder notorious for wrecking vehicles has been removed from a Leduc parking lot. 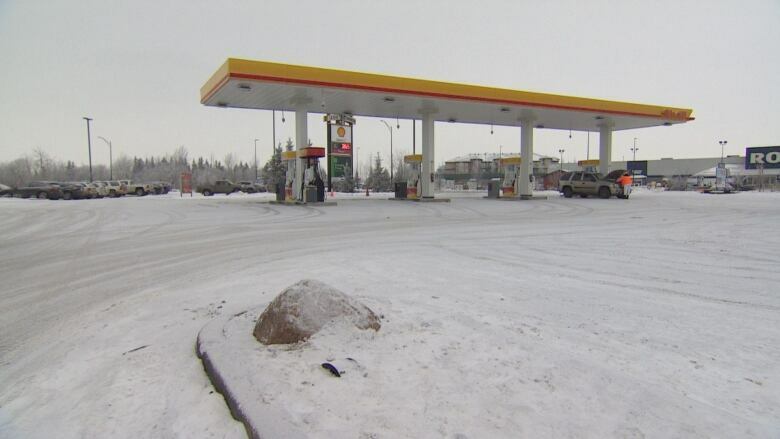 The large grey rock sat surrounded by a curb beside a Shell gas station in Leduc Common for years, where it gained a bad reputation among drivers. 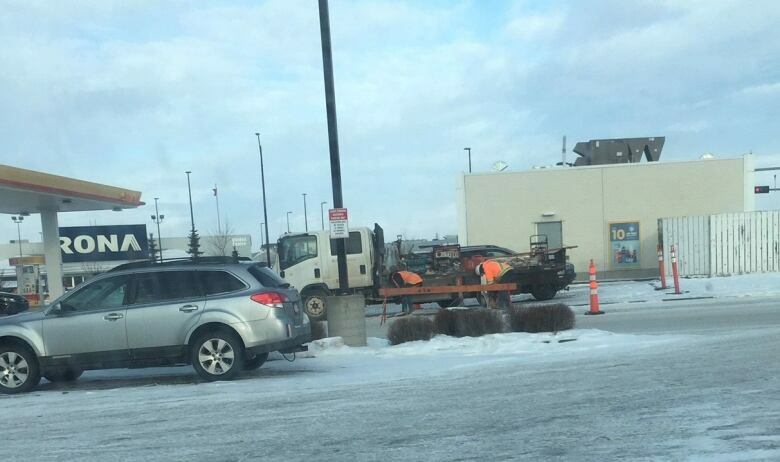 A boulder notorious for damaging vehicles has been removed from a Leduc parking lot. The large grey rock sat surrounded by a curb beside a Shell gas station in Leduc Common for years, where it gained a bad reputation among drivers. Several times a week, inattentive drivers ended up stranding their vehicles on top of the rock. The boulder earned a nickname among local tow truck drivers as "the money-maker." It was removed Saturday morning, said Chad Maskoske, who works at EB Games across the parking lot. Orange pylons surrounded the rock before crews could be seen carting it away. Tow truck drivers were called to the parking lot several times a week to remove vehicles that got stuck on the boulder. It had been there at least since 2011, said Oil Country Towing owner Don Getschel. That was the year he moved to the city and started his business. One of his first calls in the winter was to tow an elderly woman's vehicle off the rock. Recently, his company was being called to the lot about twice a week to tow a stranded driver off the rock. The problem seemed to be that the boulder could be tough to spot, especially once covered by snow in the winter. 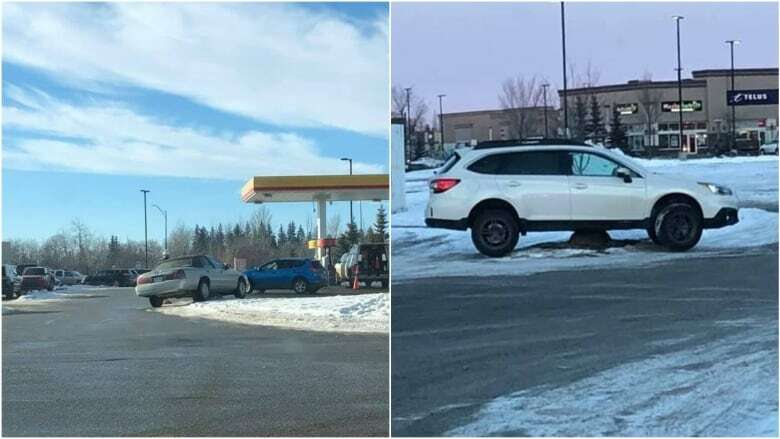 If drivers pulled too sharply to the right to enter the Shell parking lot or were driving while distracted, it could easily be missed said Ryan Dunlop, a tow truck driver with Leduc Towing and Recovery. The damage done to vehicles stuck on the rock could be extensive. "Your oil pan, drive train, you name it, just about anything," Dunlop said. "Gas tank, muffler, anything that's underneath that car, that rock can do some serious damage to." Tow truck drivers said a flag or sign could prevent vehicles from hitting it, otherwise business was expected to stay busy. Earlier this week, a spokesperson for Melcor, the property manager for Leduc Common, said there were no plans to remove the boulder. The rock became a talking point for Leduc locals. On the Leduc Area Rant and Rave Facebook page, some were sad to see the source of pain — and amusement — carted away. "Can we put up a memorial rock for the rock??" asked Nicholas A. Paquette. "There goes all the fun," Natasha Dee said.